“As a reminder, after March 8, 2019, PS3 and PS Vita games will no longer be offered as part of the PS Plus monthly games lineup”. That’s straight from the mouths — well, fingers — of Sony and the folks behind their PS+ program, making good on the decision to limit the monthly freebies to current-gen titles. What does the future hold for the months after this? Perhaps there will be extra PS4 titles added to the total downloads every month; perhaps they (inaccurately) believe only a pair of titles and monthly discounts will be enough. Regardless, it’s the last month for this longstanding paradigm of PlayStation’s subscription service, and they’re going out with … well, a modest bang, more like firecrackers than the display you’d see at a holiday celebration. Along with solid, yet not particularly attention-grabbing PS4 titles, it’s a tolerable sendoff under circumstances where they probably should’ve gone all-out. Let’s take a closer look. Releasing chopped-up portions of a full gaming experience as periodic “episodes” has grown in popularity during this generation, a controversial yet effective method that SquareEnix adopted with their semi-reboot of the Hitman series, Hitman: The Complete First Season. 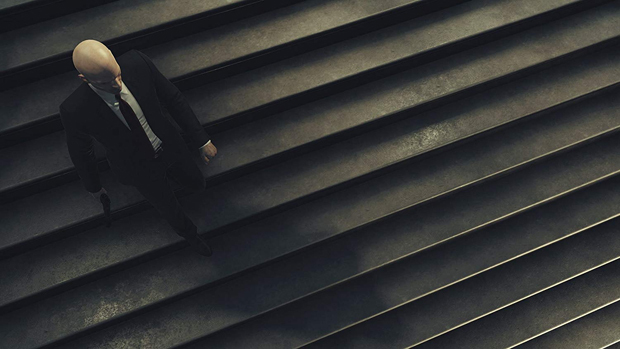 After all the episodes had been released, this installment now gets referred to as “Hitman 2016” — or “the Hitman reboot” — and can be viewed simply as another full experience from the perspective of Agent 47, the chrome-domed antiheroic assassin who traverses the world eliminating marks. Lighter on plot in order to introduce the characters in this rebooted universe, this Hitman earns attention for the sandbox-style nature of the environments in which Agent 47 navigates to kill his targets. Through this, Hitman taps into the versatility of older, popular entries while updating the franchise in a way that’ll compete with the likes of Dishonored and Far Cry, helping it hit the mark both critically and commercially. While some top minds like to discuss who’d win in battles between the likes of Superman and Thor or Batman and Black Panther, others (with overlap!) contemplate who’d win in wars waged between the great armies of history. In a way, For Honor attempts to bring this concept to the videogame front, pitting three historical forces — Knights, Vikings, and Samurai — against one another in third-person battle. Selecting from classes that range from light to heavy forces, as well as hybrids, the mechanics exist in the space between fighting and strategy war games. 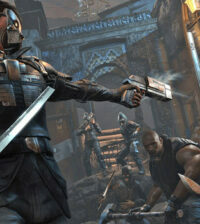 Different classes are directed to perform fitting battlefield tactics, while the staging of an individual bout shifts to a combat viewpoint that meshes the likes of Dark Souls and The Witcher. Between the history, the classes, and the strategy, and coupled with multiplayer functionality, For Honor has been heralded as an effort to inject something new into several different genres, while dedicated servers have defeated some of its online launch hiccups. For the most part, the control schemes for 2D fighting games are simple: the buttons control punches and kicks of varying degrees of intensity, blocking, jumping, evasion and general movement. It’s the combination of buttons, reflexes, and the prediction of an opponent’s next moves that make it complex. Divekick attempts to take the simplicity to another level by further streamlining the control scheme, allowing the player to only control vertical jumps and the resulting angular kick (as well as midair and evasive jumps by pressing those same buttons). 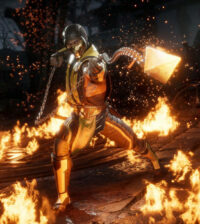 The idea is to create a new strategic form of fighting gameplay, and the differences between the power and speed of the combatants — as well as power-ups chosen before the match — try to leave their mark on the genre. A reduction of control functions can naturally lead to repetition, though, and that’s a big part of the apathy toward Divekick. Look, the impact that Metal Gear Solid 4 had on the PS3’s popularity is indisputable. While Grand Theft Auto 4 may have generated interest in the next generation of gaming itself, the approaching release of Hideo Kojima’s next piece of work certainly impacted how single-system players made their decisions about which one to get, evidenced by its place in the Top 10 best-selling games for that console. Thus, it’s a fitting, thematic, yet somewhat peculiar and frustrating final inclusion in the PS+ program’s legacy freebies. 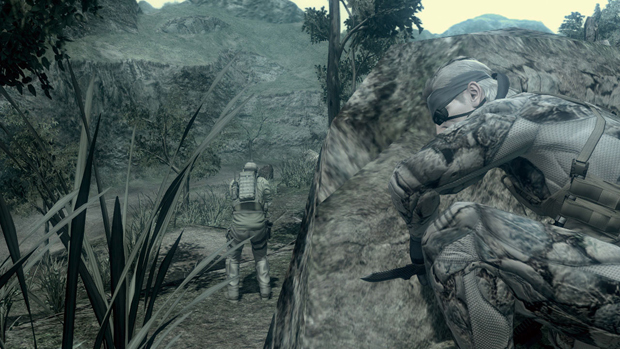 After all, based off the console’s age and the popularity of the franchise, how many players out there haven’t stealthed their way through MGS4? For those uninitiated few that never got around to it, it’s the opportunity to play one of the legacy console’s most instrumental and best-executed titles, as well as the option for the initiated to have a download handy in order to future proof for the digital age. I think they should’ve gone with Heavenly Sword, but … *sips tea*. While the absence of an interactive novel this month for the PS Vita is a bit surprising, the other consistent slot in their PS+ slate, “yet another” alignment puzzle game, has been filled by Gunhouse. 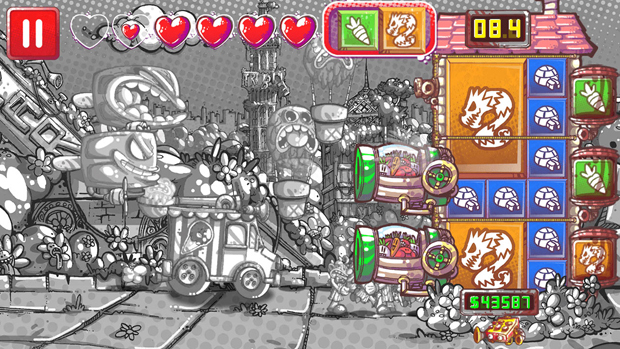 There’s a story involving monsters, orphans, and defending a house, but the focus of the game falls on the sliding board on the right side of the screen, taking shape as something of a tower defense layout. 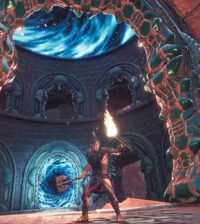 Critics confirm suspicions that the mobile-sized puzzle area and the graphical elements bombarding from the left seem oddly married and superficial. Finally, there’s Rogue Aces, a delightfully retro side-scrolling warfare title, whose gameplay matches exactly what you’d expect out of something with that title and inspired by vintage gaming. Soaring through the air, the player fires bullets, drops bombs, and pulls of crazy aerial maneuvers in quick, fluid gameplay with admittedly bland visuals, even considering the retro intention. 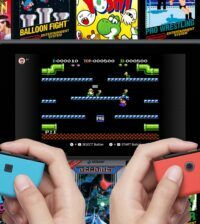 An intriguing side-note: both the Vita games offered for free this month have also been made available – recently, within the past year — on the Nintendo Switch, an interesting swipe at Sony’s “mobile” competition.